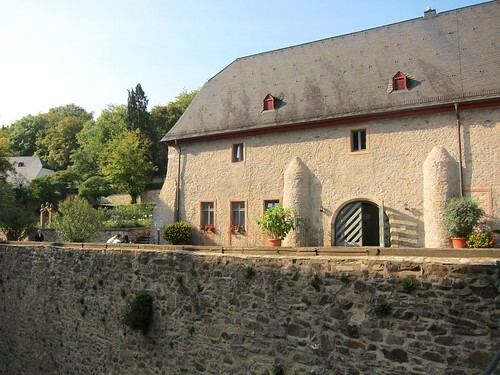 Every year in September, estates of the VDP association offer some selected wines for auction. This happens on one weekend with 3 distinct auctions. 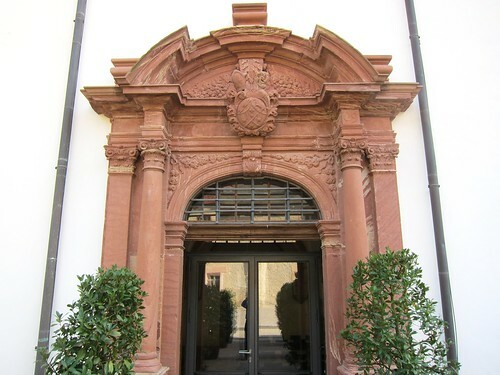 The first (friday) is held in Trier for the estates of Saar and Mosel. 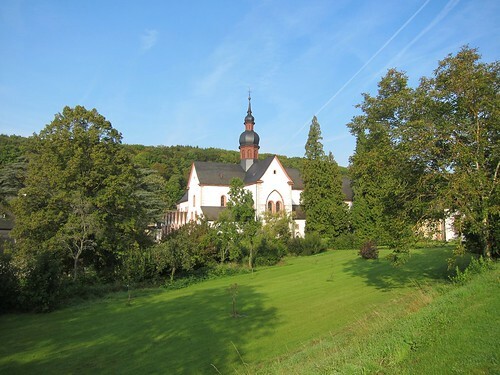 The second (saturday) at Kloster Eberbach for Rheingau estates, where also a few wineries from Franken are joining in. 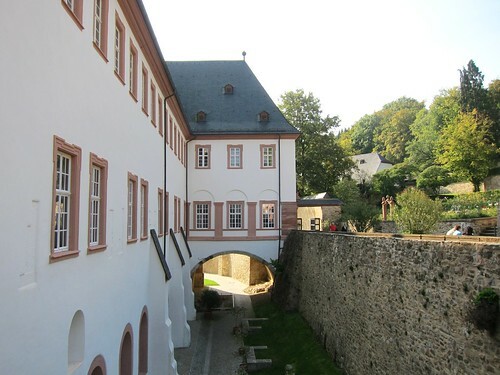 The third in Bad Kreuznach (sunday) for estates from Nahe and Ahr, joined by wineries from Rheinhessen and Pfalz. 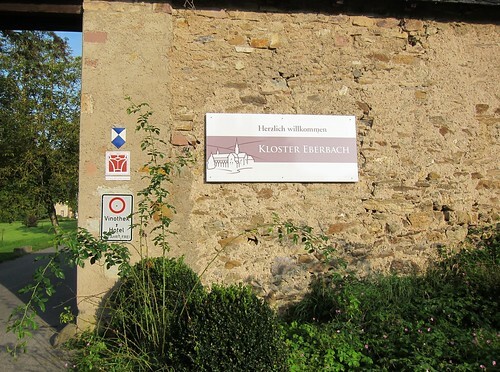 I was lucky to attend the pre-auction tasting at Kloster Eberbach on Saturday. 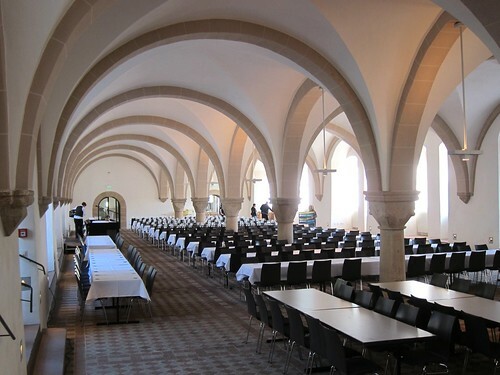 On the morning of the auction day, most wines (most are sold in bigger lots) are offered to taste so that bidders can get an idea of their quality. 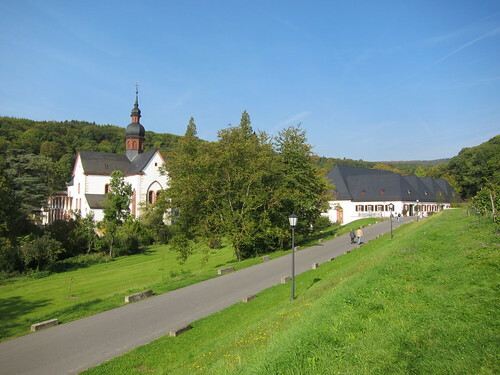 It was a beautiful September day and thus a great pleasure to visit this historic site (which also featured in the Hollywood movie “The name of the Rose” with Sean Connery) shining under the blue sky. And even tough the 2 other auctions are attracting many more wine-lovers these last years, a solid crowd was attending this event. I even spotted famous French wine critic Michel Bettane, who told me he is a big fan of German wine (although he doesn’t publish about it). First, I tasted the few red wines that were on offer. 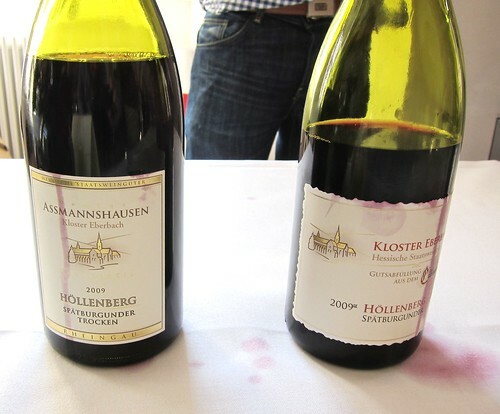 All 3 from the excellent German Pinot-vintage 2009, and all 3 stemming from one of the few outstanding red wine vineyards of the region, the Assmanshäuser Höllenberg. 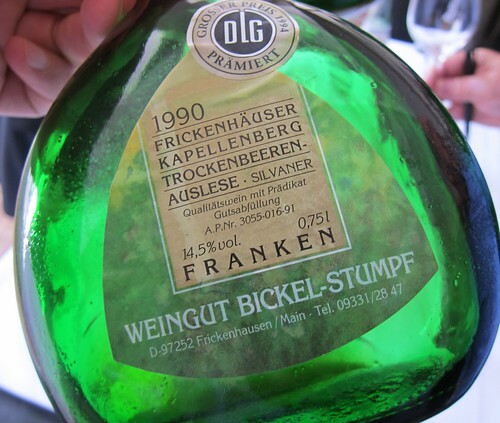 One can instantly sense the excellent vintage with these 2 specimen from Hessische Staatsweingüter, Spätlese trocken Goldkapsel and Auslese trocken Goldkapsel – Mauerwein. 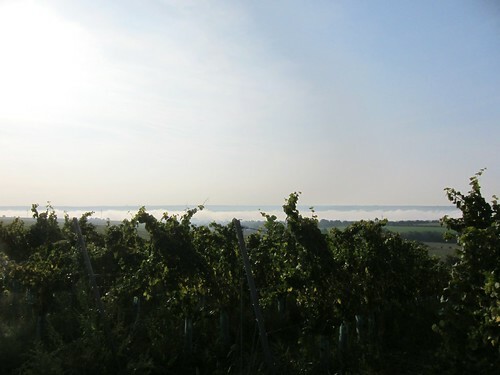 Both wines show great weight and volume with well-extracted fruit, the second being even more dense and powerful. And at the same time they still appear balanced, with a super-velvety texture and with well integrated wood. Presence and length are compelling. There’s depth,and even though the extent of complexity is hard to judge for me, it seemed satisfying. Somehow these wines both seem far away from the stereotype image of a thin German Pinot, rather somewhere in between Burgundy and California. 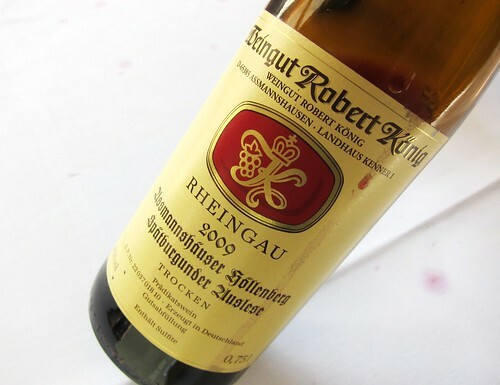 From the same vineyard, appearing a little less dense, but not less fruiter, this specimen by Weingut Robert König from Assmanshausen. 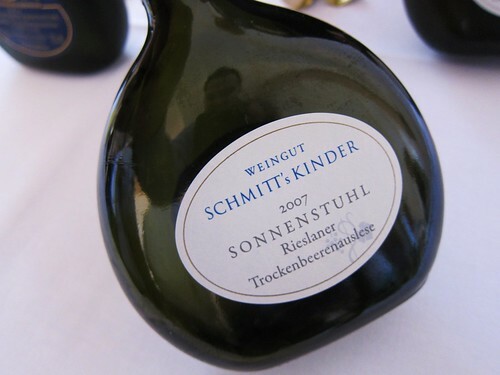 There weren’t many dry Rieslings on offer, as the sweet wines traditionally are the kings of German wine auctions. 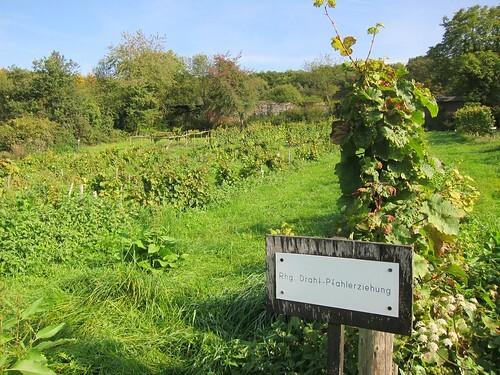 I should mention maybe this (not completely dry) Primus Riesling Sekt by Weingut Barth made out of a First Growth wine from 2008 from the Hattenheimer Hassel vineyard; dosage is added with a bit of sweet wine (Auslese). For my palate this still doesn’t appear dry enough, but I am sure that friends of fruitier sparklers will enjoy it as it has volume, appears layered and displays the most creamy bubbles. 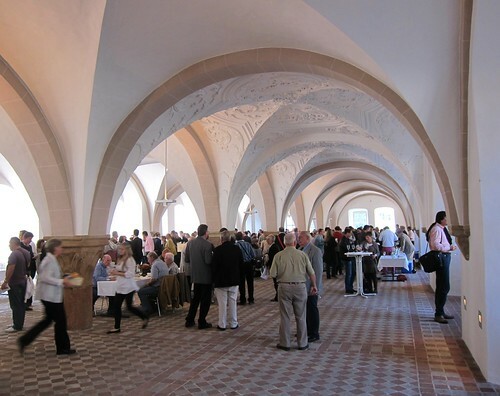 Then, there were plenty of sweet wines which traditionally are dominating German wine auctions, even if dry wines are more and more pushing in. 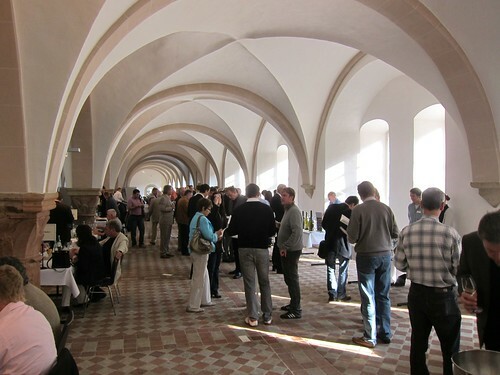 Spätlesen, Auslesen, TBA’s, Eisweine.. everything was there, mostly from recent vintages such as 2010 and 2009. There were also quite a few aged bottles, some from the seventies, but while quite interesting, they weren’t the ones that sweeped my off my feet. 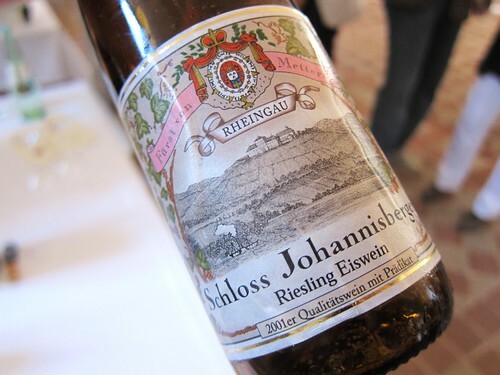 I grew quite fond of this 2001 Eiswein by Schloss Johannisberg. A brilliant wine with great acidity from a very good vintage, still fresh and with no sign of decay. 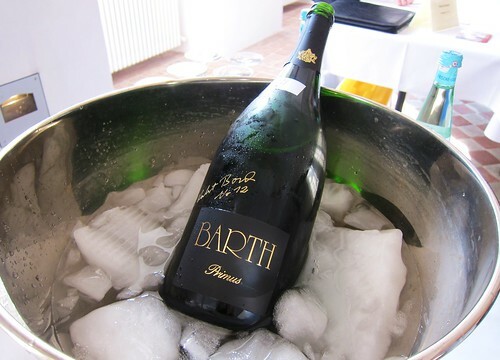 Starting bid was 150 Eur (for a half-bottle). Finally, a bottle that seemed quite original to me. Or have you ever had a TBA with 14,5% alcohol? According to the winemaker, this high level was an accident (of nature I assume) since they simply weren’t noticing the rising alcohol during fermentation. 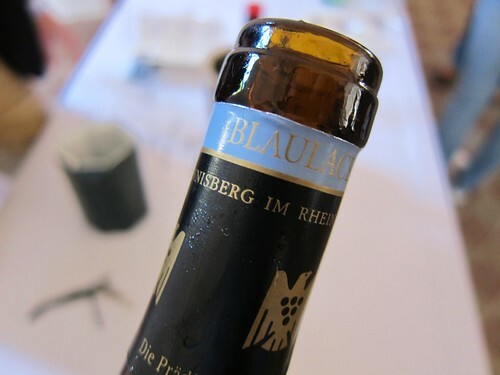 On the palate this 1990 Frickenhäuser Kappellenberg TBA by Weingut Bickel-Stumpf shows unusual power for a sweet wine, paired with rather masculine flavors of tobocca and a slight bitterness next to the sweet dried fruit notes.